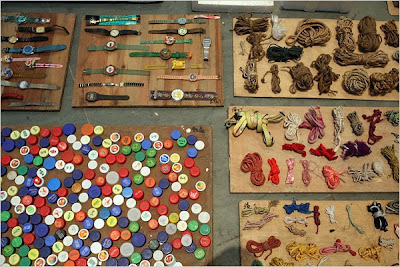 From Sociological Images: "Chinese artist Song Dong convinced his mother to allow him to display every item of her home as an art exhibit (article here). She had lived in the same house for nearly 60 years. He arranged her belongings, in a museum, around a dismantled piece of the house. "